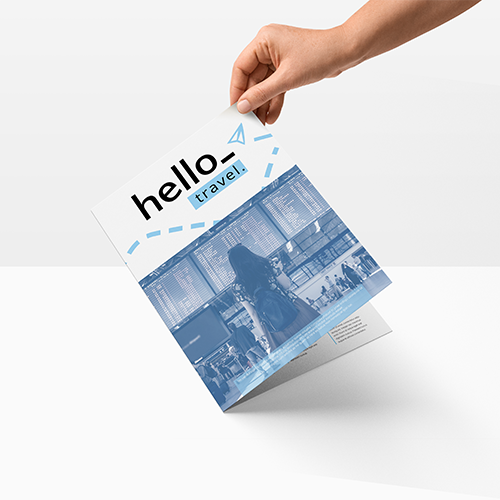 No need to cut corners to get the word out with Helloprint's Half Fold Leaflets! Compliment your business by printing your logo and offers in full colour with any of the stock sizes and luxe finishing options available. Conveniently promote your services and demonstrate why this print classic never goes out of style! 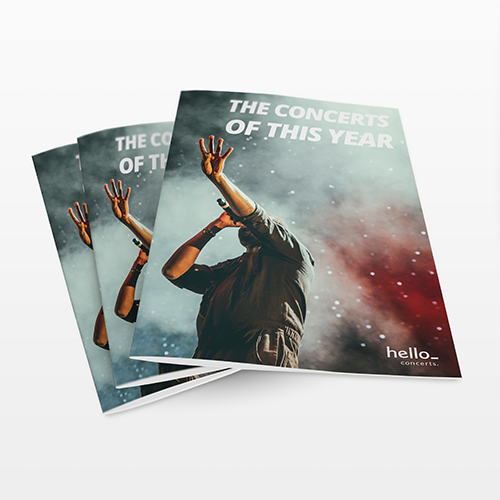 Not sure if your leaflet is print ready? Have a quick look through our artwork guides for more info. In a time crunch? Don't stress, we deliver super fast! Will my Half fold leaflets be folded at the delivery? 170gsm glossy is a sturdy material, which is slightly glossy. It will create a professional look and is perfect for a folded leaflets with lot's of images. With 120gsm offset material you are choosing for a budget material. It's a much stronger than printing paper but will still curl when handing it over. It's easily writable/stampable. Don't want a sloppy folder? Then choose for at least 150gsm material! 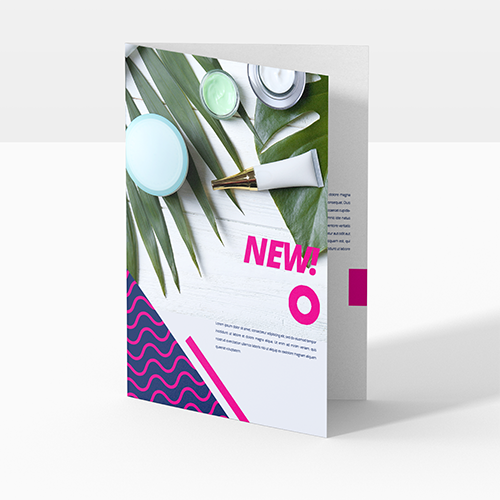 The 150gsm offset paper will give the impression you're looking for. It has a bright white appearance and is writable/stampable. 170gsm silk is a sturdy material, which is slightly glossy. It will create a professional look and is perfect for a folded leaflets with mainly text. A strong professional folded leaflet, 250gsm silk is what you are looking for. The matt look in combination with the strong material will be perfect for your text filled folded leaflets. Nature friendly materials show durability. Our 80 grams recycled paper is made from 100% old paper. This will give an authentic unique look to your folded leaflets. 400 grams Silk MC is a matt material. It lays sturdy in your hand. A material often used for menucards that contains mostly text. Our 400 grams Silk MC has glossy look thank to the extra glossy lamination. Which increases the product lifetime. This material is often used for menucards. 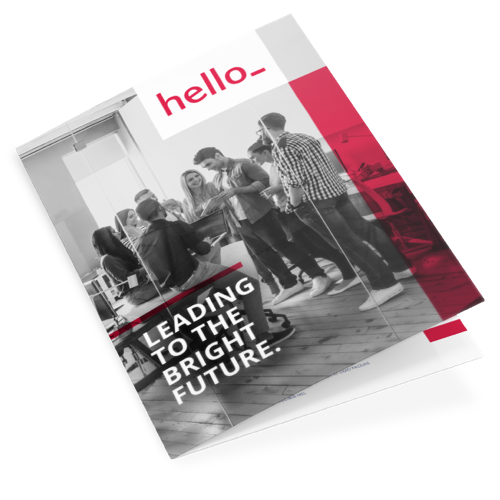 Half fold leaflets are one of the most ordered and most popular marketing materials from our range. A Half fold leaflets is a folded sheet of paper that can be printed completely according your needs and wishes. For the delivery of your half fold leaflets we use multiple carriers. Because of the highest reliability, in most cases we use UPS or DPD. The half fold leaflets that is chosen in most cases can be selected via our website. Yes, the Half fold leaflets will be delivered folded. 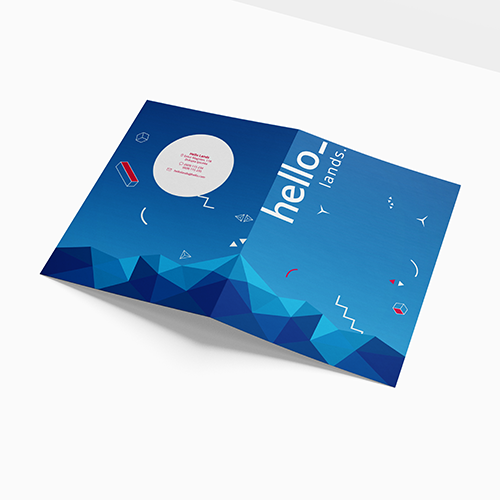 Half fold leaflets with a papertype that is heavier then 170gsm, will be creased first before they're folded. This is done so the Half fold leaflets won't break/become torn during the folding. Will my Half fold leaflets be printed on both sides? Yes, Half fold leaflets will be printed on both sides.